The grant will help the campus offer workshops focused on such topics as teaching challenges and best practices for advancing research and will provide networking opportunities with supportive senior faculty and administrators. A new grant from The Andrew W. Mellon Foundation will help UC Merced further diversify its community of graduate students and faculty, beginning with the humanities and humanistic social sciences. Vice Provost and Graduate Division Dean Marjorie Zatz is the principal investigator on the four-year, $573,000 Pathways to a Diverse Faculty project, the campus’ second award from the Mellon Foundation. The project will be managed by Zatz and grant co-PIs Jill Robbins, professor and former dean of the School of Social Sciences, Humanities and Arts, and Teenie Matlock, interim vice provost for the faculty and McClatchy Chair in Communications. 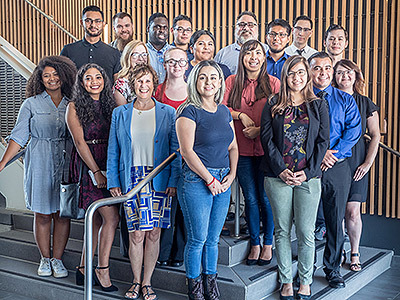 UC Merced's Competitive Edge Summer Bridge program prepares new graduate students to make strong transitions to their doctoral programs and, ultimately, help to cultivate a diverse professoriate. The grant will support six humanities doctoral students and one peer mentor in the campus’s Competitive Edge Summer Bridge program for the next four years. 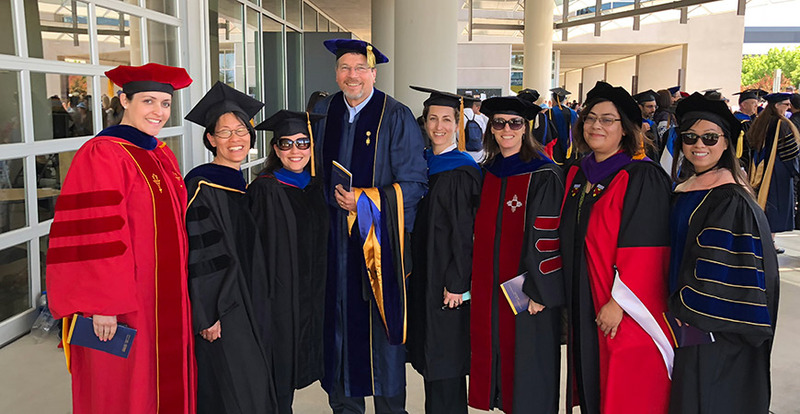 UC Merced began the program in 2015 to assist new graduate students — many of whom are first-generation and/or underrepresented minorities — in making strong transitions to their doctoral programs and, ultimately, help to cultivate a diverse professoriate. The grant will also fund five new humanities and humanistic social sciences faculty members per year to attend a two-week orientation before the start of the fall semester. They will be selected based on their likely contributions to diversity efforts. The orientation will introduce them to the campus and community, and to resources and support services designed with underrepresented students and faculty in mind. It will offer workshops focused on such topics as teaching challenges and best practices for advancing research and will provide networking opportunities with supportive senior faculty and administrators. If we can establish a model to quantify and repay these hidden costs at UC Merced, it could be a major contribution to universities across the nation. Another element of the project involves developing and leading intensive grant writing workshops for untenured faculty members and providing them mentorship from senior faculty. To accomplish this goal, the campus will hire a consultant to evaluate the diversity contributions of minority junior-faculty members, including efforts in mentoring undergraduate and graduate students. This grant could lead to identifying a model to use throughout campus and beyond. “If we can establish a model to quantify and repay these hidden costs at UC Merced, it could be a major contribution to universities across the nation,” Zatz said.